What NVIDIA’s GeForce TITAN X does for gaming, its Quadro M6000 does for workstations. As the company’s first Maxwell-based Quadro, the M6000 has a lot going for it: an impressive performance-per-watt rating, support for 4x 4K/60 displays, and despite its 7 TFLOPs performance, requires just a single 8-pin connector. NVIDIA’s latest and greatest workstation graphics card has arrived, and it is intriguing, to say the least. The Quadro M6000 is built around NVIDIA’s latest GPU microarchitecture, Maxwell, which was first seen on the gaming-oriented GeForce GTX 900 GPUs. With that comes myriad perks. Some of those perks are to be expected. Versus Kepler, Maxwell delivers much-improved performance-per-watt, and in the particular K6000 vs. M6000 battle, the latter is about 35% faster for a gain of 25W on the TDP. At the same time, the card’s ECC memory has been made 29GB/s faster. Further, a single M6000 can support up to four monitors all running at 4K/60. The culmination of all its enhancements makes the Quadro M6000 a “beast” card; a proper ultra-high-end offering. It’s a no-compromise solution, offering 7 TFLOPs of single-precision performance and is optimized to take advantage of the latest graphics technologies (including NVIDIA’s own). And, not that it will matter to most, it’s without question the best-looking Quadro to date. A major selling-point of NVIDIA’s Quadro M6000 is one shared with all new generations: it’s optimized for the tools people use. But, there are two things that have received a big focus this time around that I’ll be touching on a bit more on this page: optimization of the company’s iray renderer, and its Visual Computing Appliance. Before we dive into those features and others, let’s take a moment to talk about the hardware. At the core, NVIDIA’s Quadro M6000 has similar hardware to its current top-end gaming card, the GeForce TITAN X. Outside of the firmware and driver, an important differentiator between the two is that the M6000 utilizes ECC memory (a feature also enjoyed by the K5200.) Compared to the K6000, the M6000 has close to 7% more CUDA cores, an 88MHz gain on the clock, and as mentioned earlier, faster memory. The M6000 comes equipped with 4x DP 1.2 ports as well as a lone DVI-I. This is a nice jump over the K6000 which offers just two DP 1.2 ports, and with it, users can take advantage of 4x 4K/60Hz displays. Also worth noting is the fact that the M6000 manages out-do the TITAN X by chopping off the 6-pin connector. All that’s needed here is a single 8-pin connector, allowing for even cleaner system builds. Like the K6000, there’s a stereo connector found at the top, and finally, like the TITAN X, the M6000 includes a backplate for the sake of increased cooling. If multiple M6000s are used, it’s recommended that the cover on the backplate be removed on all but the top GPU for optimal airflow. 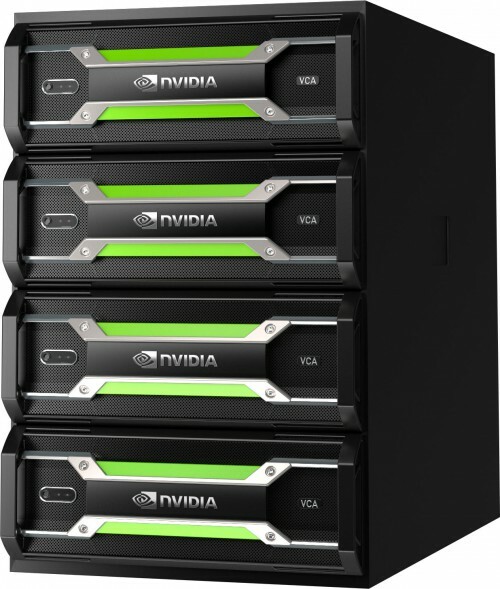 NVIDIA introduced its first VCA (Visual Computing Appliance) model at 2014’s GTC, and with the Quadro M6000’s launch, it’s been given an update. The latest VCA includes 8x Quadro M6000s, dual Intel Xeon E5 10-core 2.8GHz processors (leading me to believe these are still v2, not v3), 256GB of system memory, 12GB of VRAM per GPU, 2TB worth of SSD storage, dual 1Gbps Ethernet ports, dual 10Gbps Ethernet ports, and one InfiniBand port. Pre-installed software includes CentOS 6.6, VCA Manager, Iray 2014 3.4+, V-Ray 3.0+, and OptiX 3.8+. With each Quadro M6000 retailing for about $5,000, the latest VCA at $50,000 could be considered well-priced given all of the extra hardware it bundles in, and the package it’s in. Like the original VCA, the new ones can be stacked, and from what I saw at the previous GTC, stacks of 4 have been commonly used in the real-world since the original launch. Even with K6000s at the helm, that’s an absurd amount of power – the type of power where a single heavily detailed ray traced scene could denoise itself to a great degree in mere seconds. The above trailer is for an upcoming short film that’s rendered entirely using NVIDIA GPUs and Chaos V-Ray RT. I managed to catch a session at GTC to learn more, and I’m glad I did. In 2014, director Kevin Margo’s real-time filming solution involved a BOXX PC equipped with a Quadro K6000 and dual Tesla K40s. Overall, the solution was quite good given the hardware, but the scenes rendered on the camera were hardly ideal given the amount of noise. Fast-forward to 2015, and Margo has performed the same filming duties while taking advantage of NVIDIA VCA cloud servers to dramatically improve the rendering time. Yup – 32 M6000s are quite a bit faster than Margo’s original tri-GPU setup. You can check out the process with the following two videos, with the latter talking about the use of VCAs. After watching those, you should be able to better understand just how much faster GPUs and the VCAs can make the job of a CG filmmaker easier. In this scenario, they’ll have the option to both render a frame in real-time and view it on their camera before continuing filming, or run the recorded video in real-time before it’s rendered on a PC, and at any point pause it to render that particular frame so that things like lighting could be double-checked. NVIDIA’s iray renderer isn’t new with the Quadro M6000, but it has been vastly improved, both from a features and performance standpoint (for the latter, check out the 3ds Max results page). With it, this physically based renderer can produce some stunning results. One example is seen below, and I recommend checking out Lightworks’ gallery page for more great examples. I should note the fact that there are two versions of iray; a standard one which ships with 3ds Max and is available separately for Maya, Revit, and others, and iray+, an advanced version. 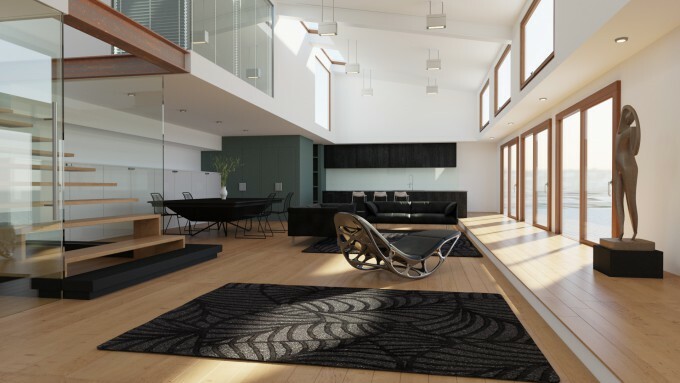 Lightworks is the exclusive reseller of iray and the developer of iray+; you can review a full list of differences in Lightworks’ technical overview, but there are two big ones to note: iray+ allows you the ability to render using NVIDIA VCAs, and use interactive rendering. Outside of 3ds Max, the standard iray plugin added to other software will also allow you to take advantage of rendering to VCAs. Interactive rendering is, in effect, iterative live renders. There are multiple modes for this, including fast, direct, preview, and photoreal (each is detailed in the aforementioned guide). 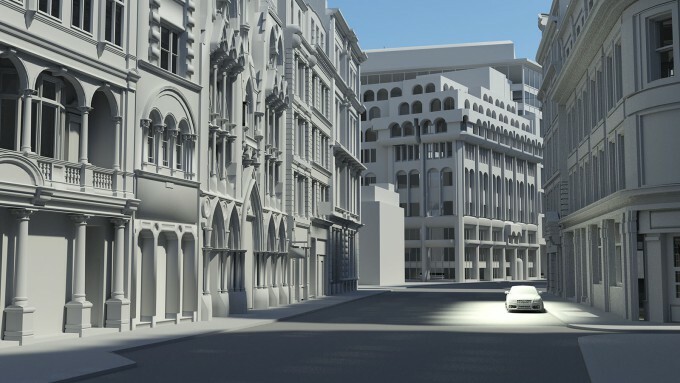 As an example of its use, with an ActiveShade window open in an Autodesk product, you’ll be able to preview a scene in real-time, one that will begin rendering as soon as you pause the view. Why this is important is that it allows you to get quick basic results for a particular frame before you settle on that being the one you want. This makes it so you are able to manipulate the camera without lag to get the angle you want, let it run a few render iterations, and then decide whether or not further changes to the scene are needed. Thanks to iray being a physically-based renderer, its use can be expanded upon even further. For example, if you want to create an advanced MAXScript, you’d be able to create a tool that lets you see how architecture is affected based on various real-world effects, like the sun. NVIDIA just so happens to have an example called “Death Ray” that highlights this capability. Designed by Uruguayan Rafael Viñoly, London’s “20 Fenchurch Street” sports quite an interesting design. Some have dubbed it the “Walkie Talkie” due to this design, and as humorous as that might be, there’s a darker consequence of its shape. What the building’s designer didn’t realize was that because the entire building was covered with glass and arced a bit inward, it would create a “Death Ray” if multiple factors aligned properly. You might recall hearing about the Vdara hotel in Las Vegas sizzling folks in the pool when the sun hits the building at just the right angle, and if so, prepare to be surprised: Similar shape, same designer. This is something a physically-based render can highlight before a building gets built. 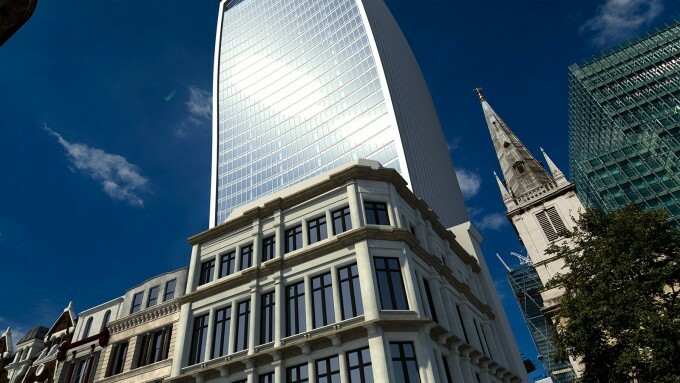 NVIDIA recreated London and the 20 Fenchurch Street building in 3ds Max, and developed a tool that would allow manipulation of the time of year, time of day, angle of the sun, and so forth. What you see in the below shot happened in real-life: The beam of light became so strong, that it began to melt the chassis of someone’s Jaguar. Given the fact that both 20 Fenchurch Street and Vdara prove what can go wrong in building design, we’ll (hopefully) see physically based renderers like iray become more relied-upon in the future. On the following pages, we’ll be putting NVIDIA’s latest Quadro through a gauntlet of real-world and synthetic tests, utilizing apps from Autodesk, Adobe, SPEC, SiSoftware, and a handful of others (including light gaming tests for good measure). All tests are run at least twice to produce an accurate result, and if for some reason an odd result creeps up, we do a third run. In the case of this particular review, few tests had to go that route, as most of the benchmarks are very good at delivering similar results with each repeated run. Our Windows 7 Ultimate x64 test OS has a couple of key Windows services disabled (Search, Defender, Firewall, and Update), and so is Aero. 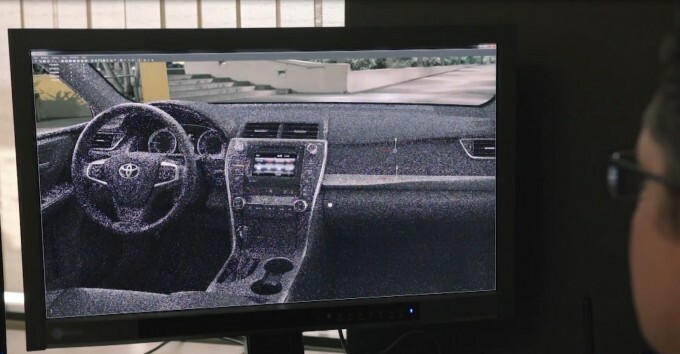 During all testing, the display is kept in 4K resolution, with two exceptions: SPECapc Maya 2012 and SPECviewperf are run with a 1080p resolution. Further, Vsync and G-SYNC are disabled through the NVIDIA Control Panel. Without further ado, let’s get right to testing.